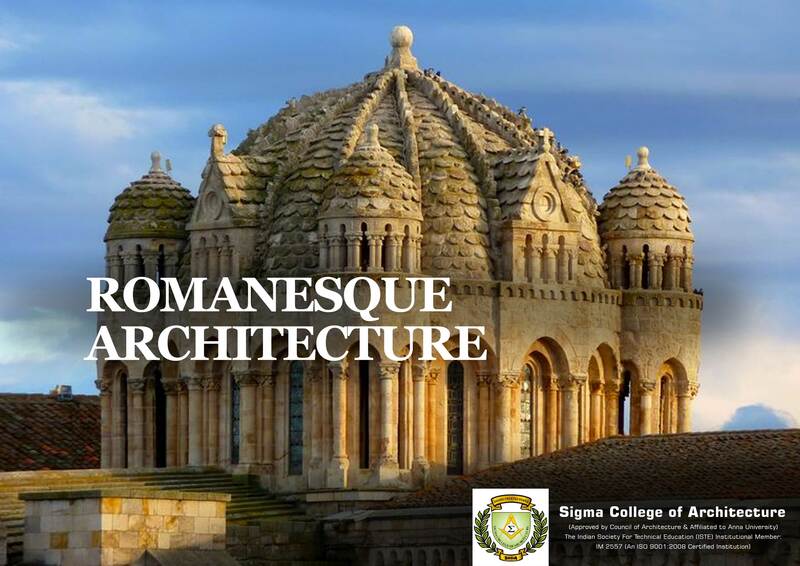 Romanesque Architecture is based on the ancient Roman Architecture. Ever since the fall of Rome in the fifth century, the remains of Roman civilization can be seen all over the continent through its distinct Architecture style. The culture and heritage of the great empire would have been passed down through generations. When we speak about Roman Architecture we cannot afford to look past the rounded Roman arch that is the literal basis for structures built in this style. The gatehouses, chapels, and churches in Europe all exhibit the same Architecture style. The Romanesque cathedrals from the early Middle Ages are solid, massive, impressive churches that are often still the largest structure in many towns in the present day. Simplicity was the key element in its decoration, using simple geometric shapes rather than floral patterns. Common shapes used include squares or lozenges and chevrons. Plain circles were also used, which echoed the half-circle shape of the ubiquitous arches.